Projects were judged on the following criteria: uniqueness, feasibility, creativity, presentation, skills and content. Teams presented the following projects; home security system, community wealth project, customised bio-digester for rural communities, water purification hydro-cyle, smart chips for home automation and a smart house. Two projects fell under the category for community wealth, two under power saving, two for home automation and one in the category of home personal security. Students worked throughout the day and night on 15 September and pitched their ideas on 16 September to a panel of judges who included the following Mr Isak VanderWalt (MakerSpace), Dr Flavia Senkubuge and Dr Inonge Kamugoma-Dada (School of Health Systems and Public Health) and Ms Petronella Chirawu (SA RILab). Prizes included tablets, shopping vouchers and flash disks. 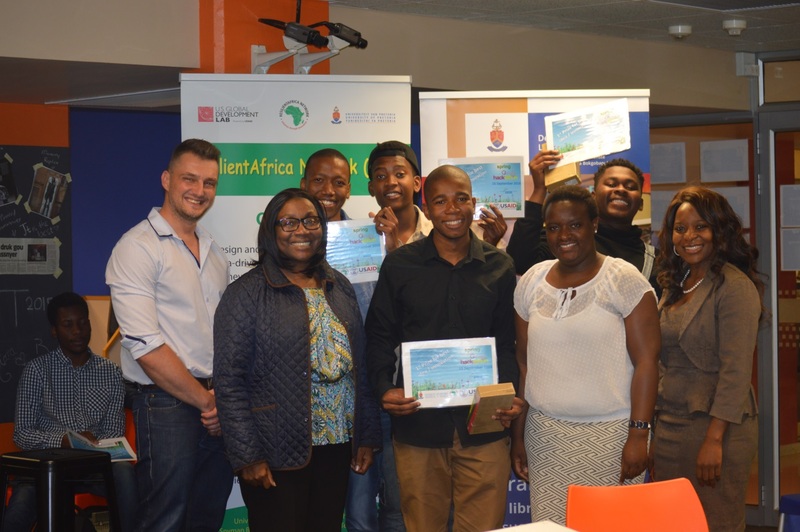 Mr Isak VanderWalt and Dr Senkubuge thanked all students for participating in the Hackathon. Efforts will be made to support the students to develop their projects further and to link them to potential funders. The MakerSpace will host another Summer Hackathon beginning of next year.